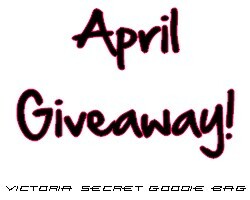 The Girly Blog | insideWYNTER: April Giveaway! I've decided to host another giveaway! I'm going to be giving this cute Victoria Secret starter goodie bag! 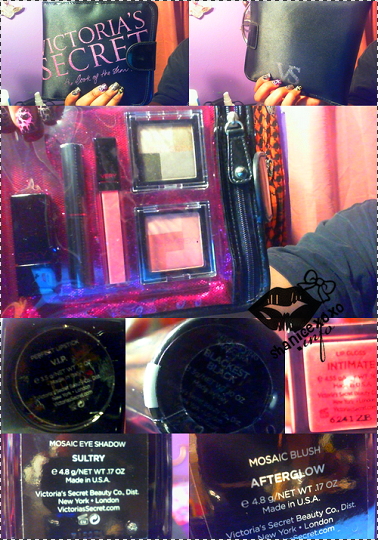 In the book-like makeup bag, you will receive (1)Perfect Lipstick-V.I.P. (2)Intensifying Mascara- Blackest Black (3) Lip gloss- Intimate (4)Mosaic Eyeshadow- Sultry (5)Mosaic Blush- After Glow . Wow right? Such amazing goodies. These goodies are brand new never been used! Want a chance at winning them? Just fill out the form down below! This giveaway will end i exactly 3 weeks, May 3rd 2011 ! Good luck Lovelies.